Sheila has been in the finance industry for 27 years. The first 13 years were spent in the automobile finance & insurance field. She transitioned to a mortgage loan originator in 2001 and has never looked back. She joined Holland Mortgage Advisors in November 2015 after leaving Wells Fargo. Sheila was looking for the “personal & family” environment of a small company as opposed to the large corporate company operation. Sheila takes pride in her work ethic and knowledge of the mortgage industry. She is customer oriented and strives to make her clients dreams a reality. Sheila believes in helping her clients. 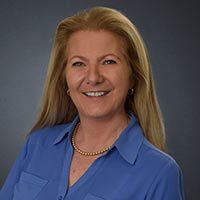 Whether it is her clients’ first time purchasing a home, refinancing their current home, or helping them move on to their next home, Sheila works to provide her clients with the information they need and then helps them throughout the entire financing process. Sheila is a long time resident of Erie, PA where she lives with her husband Michael and their 2 rescue dogs; Dante & Brownie. Sheila is an avid dog & animal lover and supports “Southwest Pennsylvania Retriever Rescue” in Plum PA and “New Orleans Lab Rescue”. She also transports rescue dogs helping them reach either their new foster homes or hopefully their forever homes. She and Michael are active members of St. Paul’s Roman Catholic Church and have a strong grounding in their faith. Sheila also enjoys cooking, gardening, crafting and spending time with her family.